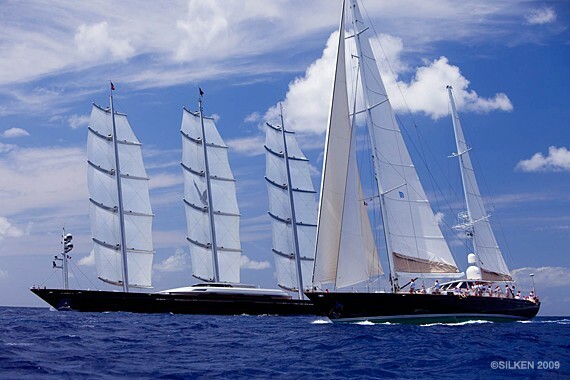 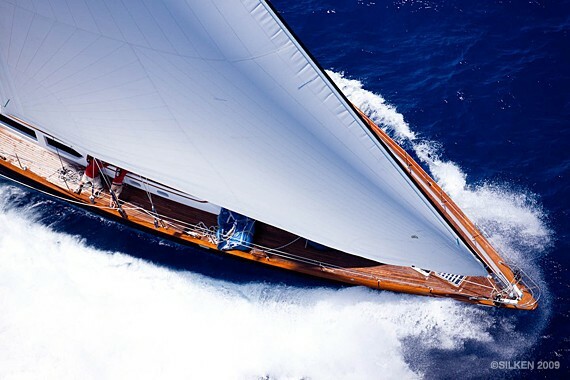 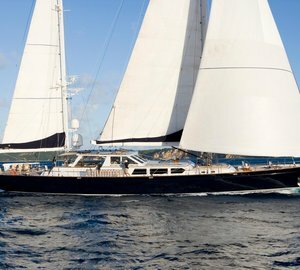 Luxury Sailing yacht Axia is a perfect collaboration of Sparkman & Stephens naval architecture, John Munford interior design, and Palmer Johnson Yacht Builders who have created an exceptional yacht. 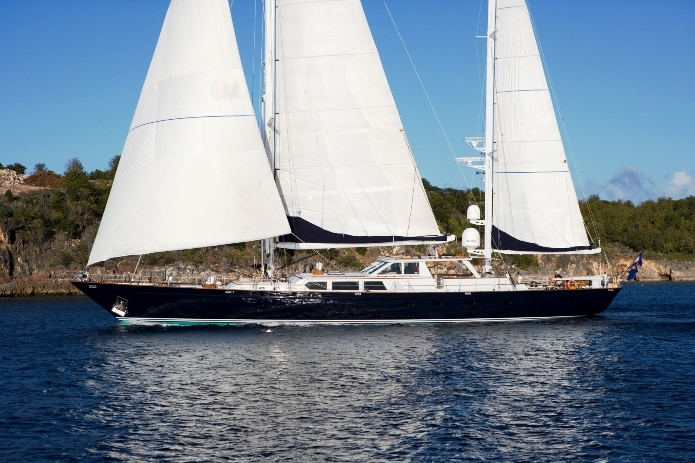 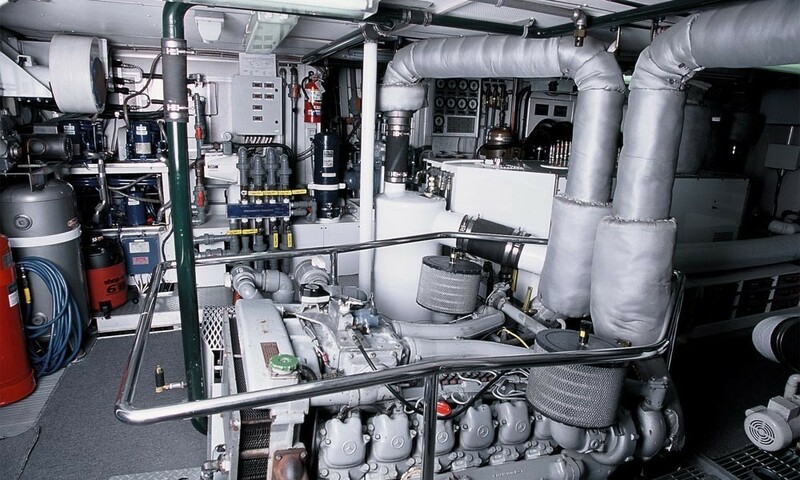 Originally built in 1990, the yacht has been fully refitted, with all new, beautiful upholstery and linens in 2007 and new Sails in 2008 not to mention her continuous upgrades. 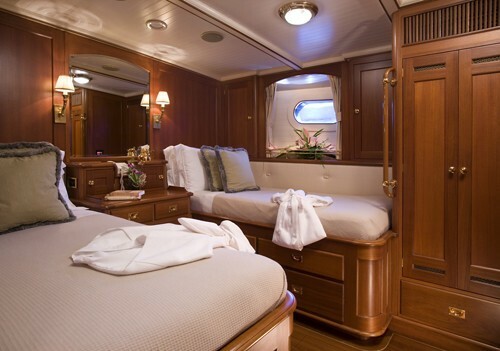 She can accommodate 6-8 guests and charters in the Caribbean during winter and the Mediterranean during the summer months. 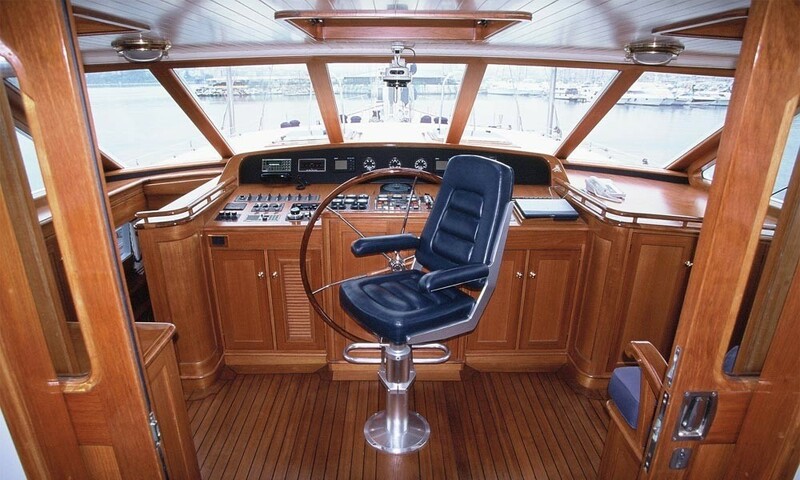 Sailing Yacht AXIA's spacious cockpit area features a large dining table and settees for alfresco entertaining and her large aft deck has teak lounge chairs for relaxing under the sun, stars or shade of the awning. Axia has a professional crew of 5 ready to welcome you on board in either the Caribbean or Mediterranean. 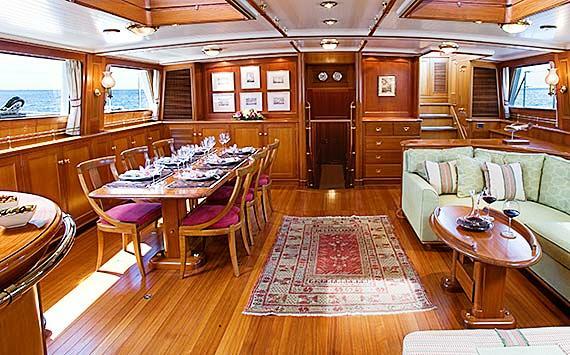 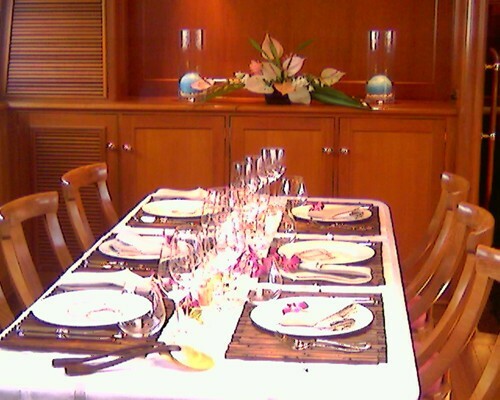 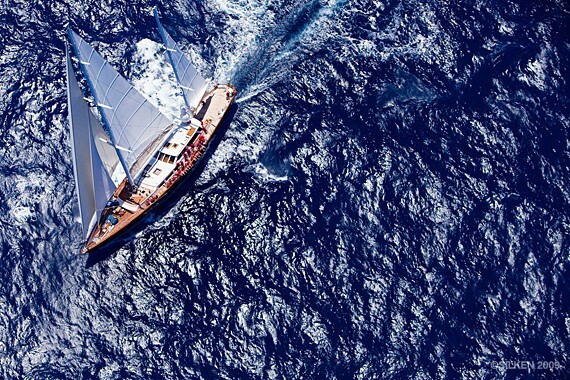 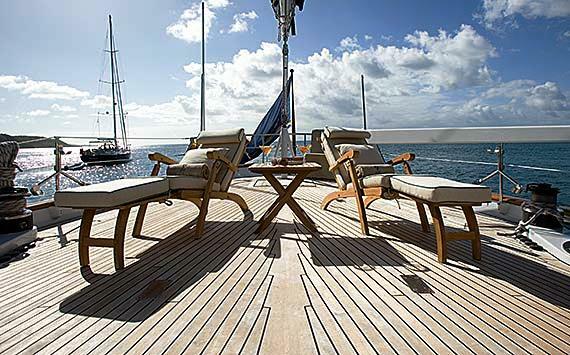 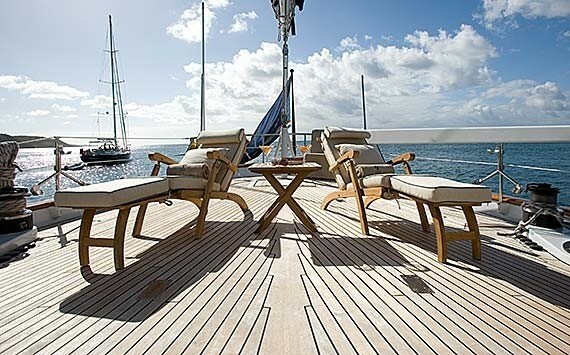 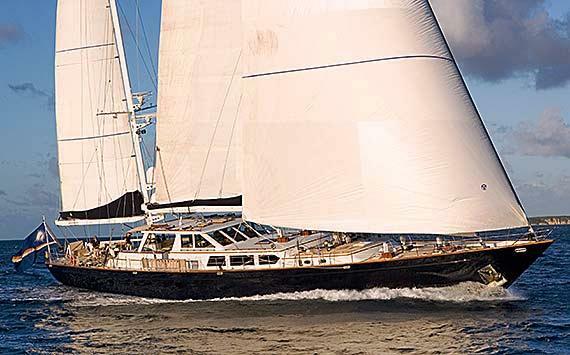 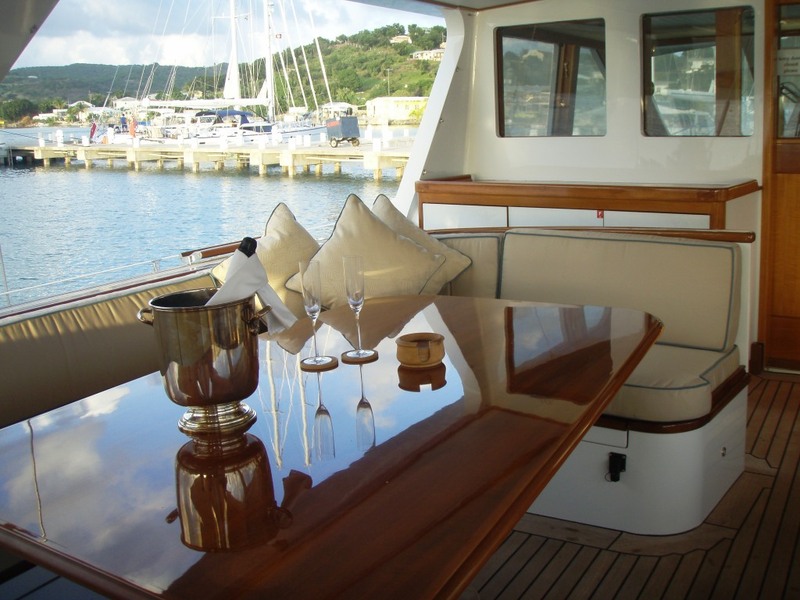 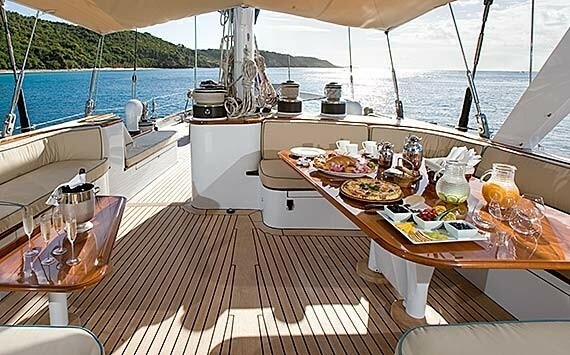 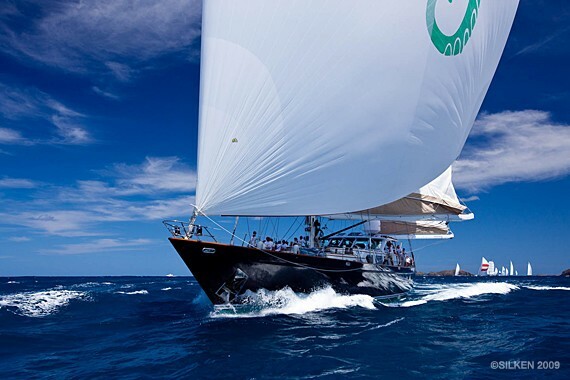 Luxury sailing yacht Axia can accommodate up to 8 guests. 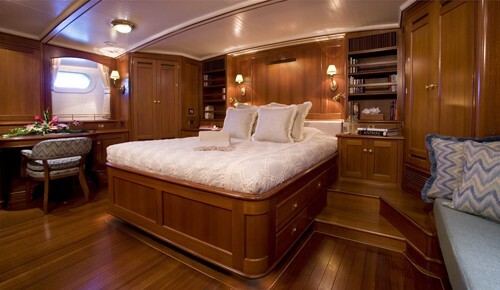 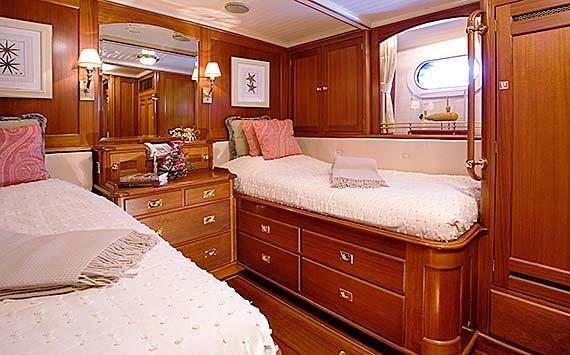 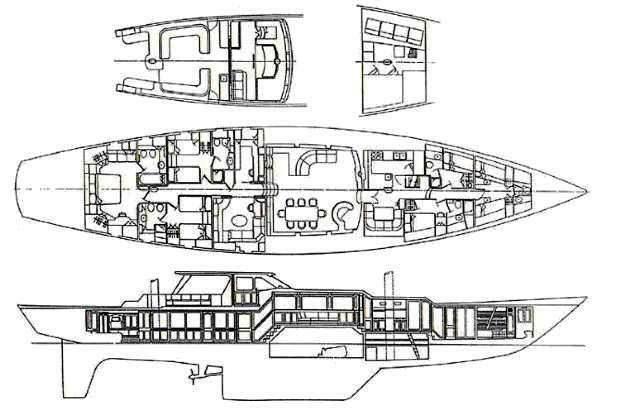 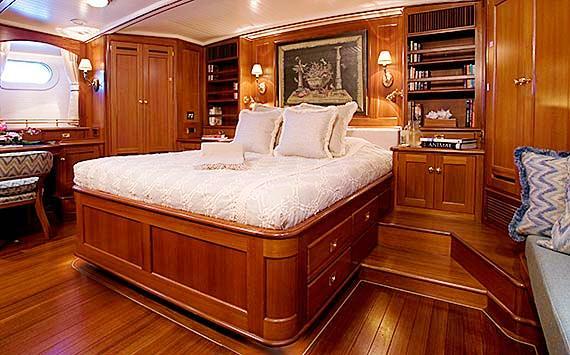 Her Master Stateroom located aft is full width of the beam and boasts sumptuous Italian Frette linens, a dressing table, generous wardrobes, and a settee which can be converted into two bunks for small children. 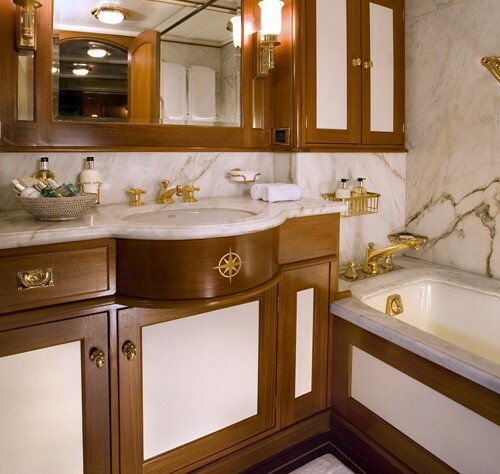 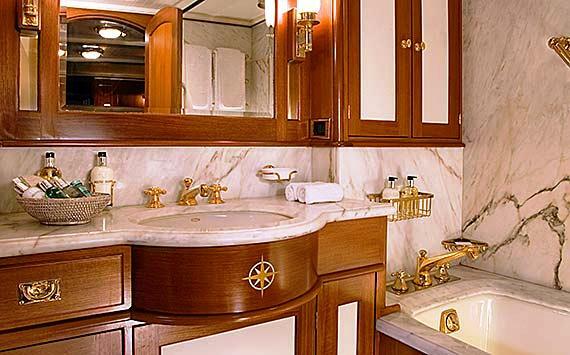 The large ensuite includes bathtub, toilet and bidet with Italian Calcutta golden vein marble throughout heads. 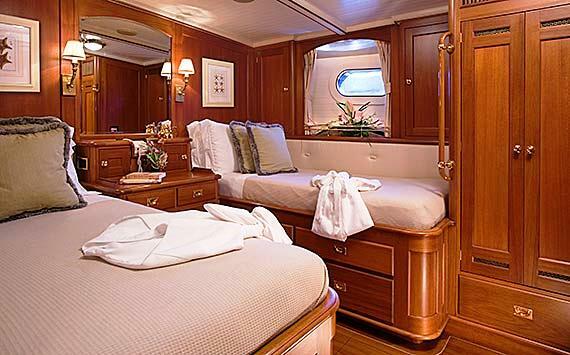 The two beautifully appointed port and starboard guest staterooms both have twin beds and ensuite heads with shower, toilet and bidet. 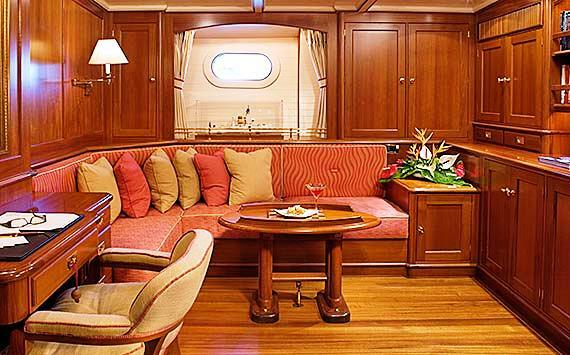 The Family Room contains desk, entertainment center and sleeper sofa for 1 additional guests. 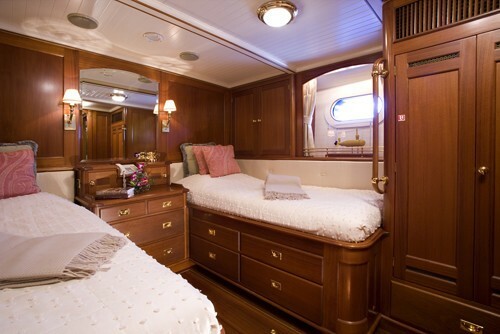 Would need to share head with one of the staterooms. 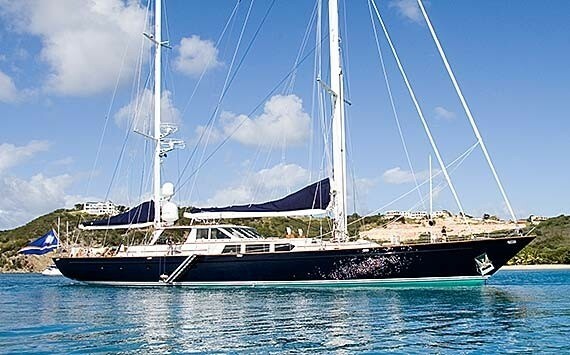 Perini Navi Sailing Yacht Axia is equipped with an excellent range of entertainment facilities and toys including a kayak, 2 ski biscuits, The Wing (it goes airborne with 2 people), inflatable dolphin, 1 wake board, kids water skis, adult water skis (slalom pair), trainer kite ( to teach kite surfing), masks fins and snorkels all sizes, BBQ grill can go to the beach, chairs (4) umbrella new deck chairs, lots of new safety equipment (commercial), Communication equipment includes a Fleet 77 Satellite. 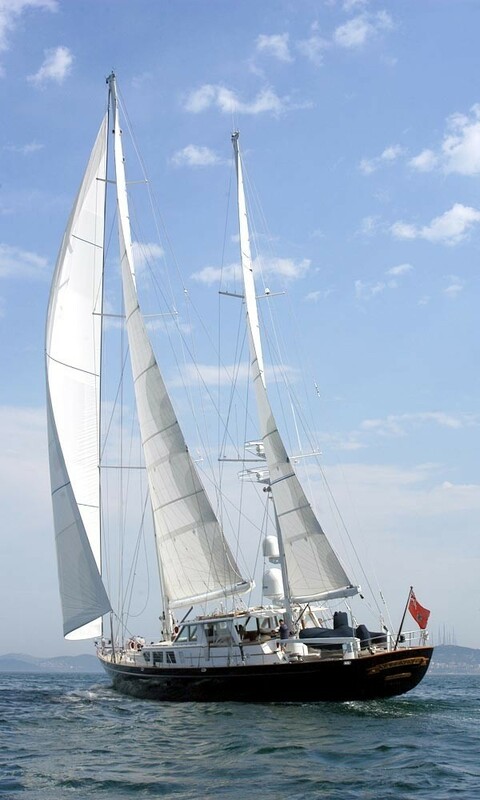 New improved SEA Tel antenna, New WiFi system, New BGAN global satellite internet offshore, Audio Visual Equipment and Deck Facilities include Flat screens, all staterooms, DVDs and IPOD hookups. 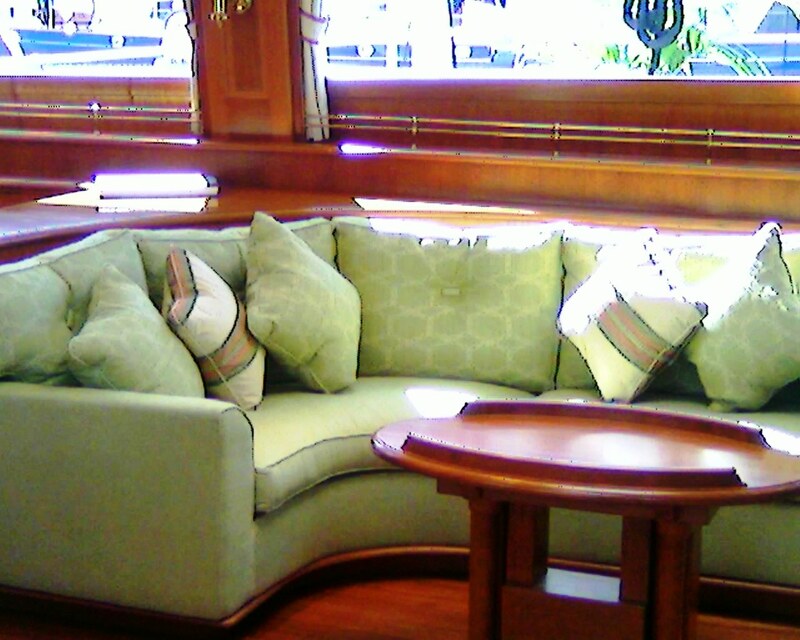 TV in study with a selection of DVD's. I-pod connection for outside.